The 2018 UNIST Entrepreneur Night was held in the Kyungdong Hall of Main Admin. Bldg. on December 1, 2018. More than 150 alumni, students and faculty members attended the event. The entrepreneurial alumni, students, and faculty members of UNIST gathered together on the evening of Saturday, December 1, 2018. The School of Business Administration at UNIST held a special gathering of entrepreneurs, namely ‘2018 UNIST Entrepreneur Night‘ to create strong bonds amongst students, alumni, and its faculty members. 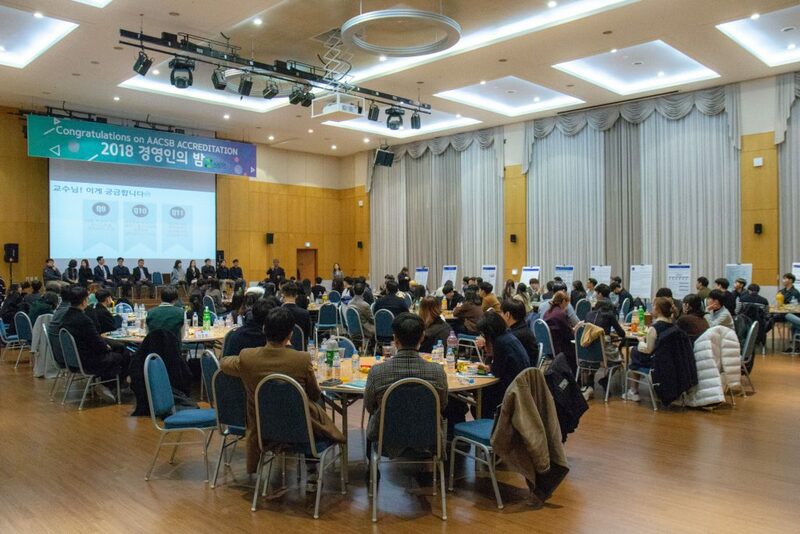 Held in the Kyungdong Hall of Main Administration Building at UNIST, the event was attended by 150 UNIST alumni entrepreneurs, students, and faculty members. The UNIST Entrepreneur Night is an event, designed to create a campus-wide culture of innovation and entrepreneurship and to promote a networking amongst students, faculty and alumni. 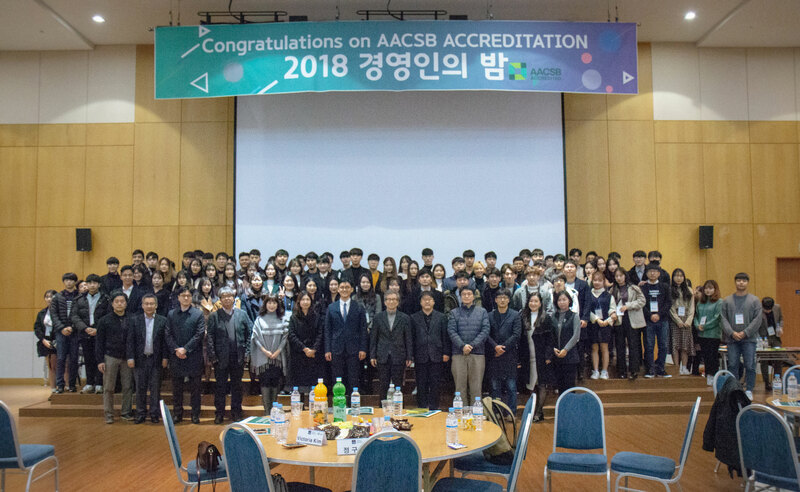 The primary purpose of this year’s gathering was also to celebrate its recent accreditation by the Association to Advance Collegiate Schools of Business (AACSB). This accreditation represents that UNIST’s business programs at the bachelor’s, master’s, and doctoral levels, are proven to be among the best in business education anywhere in the world. The event was composed of two parts: A networking dinner with alumni and faculty members in Part I and fun networking activities, including information sharing in Part II. 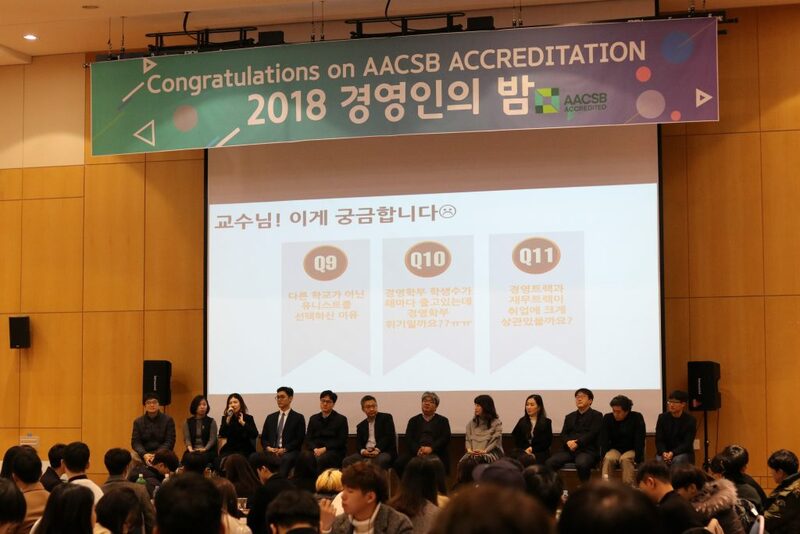 In Part I, there was a brief introduction to the process of earning AACSB International Accreditation, followed by a lively Q&A session with faculty members. In Part II, various networking activities were also held to strengthen bonds amongst alumni, students, and faculty. 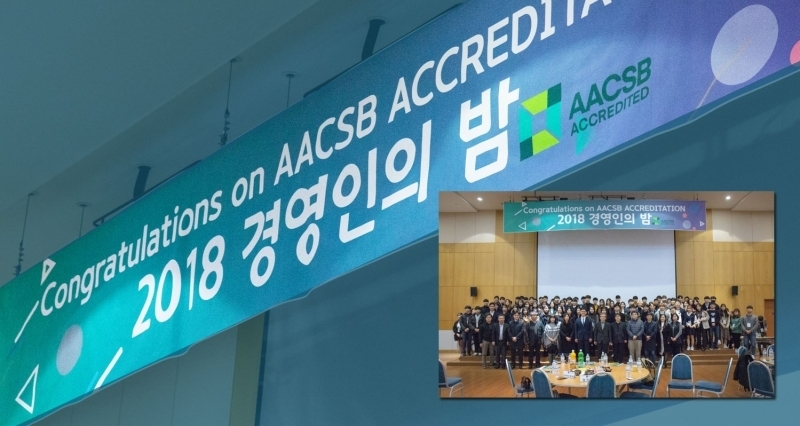 Meanwhile, UNIST is the youngest and the first South Korean university in the southeastern regions of Korea (Busan, Ulsan, and Gyeongnam) up to date to earn the AACSB International Accreditation for business programs at all study levels (B.A., M.A. and Ph.D).